Will electric vehicles make it to rural Nebraska? Lincoln, NE – The focus on the electric vehicle market has been in urban areas, leaving potential customers in rural areas wondering if the development of new cars and trucks is leaving them behind. 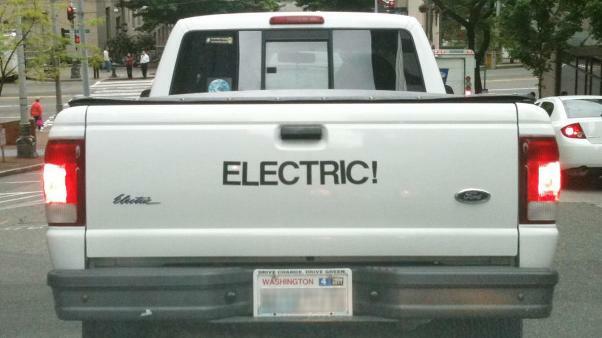 Once upon a time there was an electric pickup truck. The target customers were businesses making fleet purchases. There were problems with the batteries and the truck didn’t catch on. After only four years Ford recalled most of them. Recently the electric vehicle (EV) hype focused on stylish sports cars and cute little commuter-friendly vehicles designed for big city drivers. However, an American auto company took its first major plunge into the EV marketplace 15 years ago with something as utilitarian as a truck. With increasing excitement over a new generation of electric cars, there is not much discussion of electric vehicles that would be useful for rural customers. At the prestigious Los Angeles Car Show opening this week there are a dozen new electric car models being unveiled with a lot of hype and excitement. They are all minis or sports cars. Electric cars make up 3% of total car sales in 2012, There’s hope among some advocates of the technology in Nebraska that the discussion will begin and auto makers will consider customers outside major metropolitan areas. It’s possible a new generation electric truck could hit the market in as little as five years, according to Don Cox, an electrical engineering professor at the University of Nebraska-Lincoln. He quickly adds his estimate could be optimistic. Cox talked about the development of a rural market for electric cars while taking a short drive inhis electric car. The one he owns is the exact opposite of the type of workhorse utility vehicle that will have mass appeal in farm country. Nonetheless, supporters of the long-term development of electric cars believe what can be learned from an expensive sports car popular in Hollywood can someday benefit the rancher in the Sand Hills interested in an electric pick up. Since long haul driving is a real issue for people in rural areas, the hope is to develop an affordable battery that powers the car or truck farther. 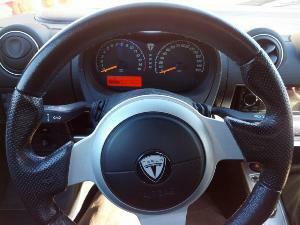 The original intent of Tesla and its co-founder Martin Eberhard was to first make a speedy and attention-getting car. Practical considerations came later. 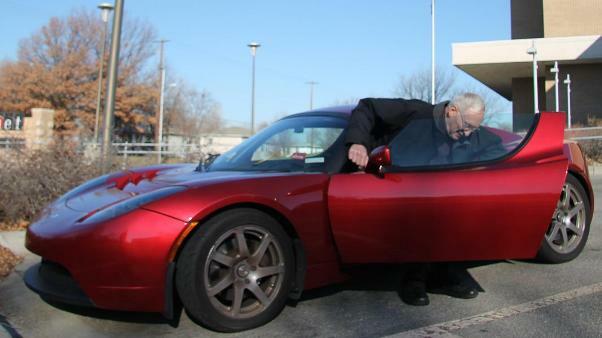 During a visit to UNL’s College of Engineering in November he claimed “it’s easy to imagine an electric vehicle with a five or six hundred mile range and you can even imagine it being affordable five or ten years from now. “With a 500 mile range, that’s more than most of us would drive even in rural parts of the country, right?” Eberhard asked rhetorically. Eberhard left Tesla and is now working with other companies on electric car technology. The engineering students who came to hear him talk treated him like a rock star. The lecture hall was standing room only. Lit by the glow of screens filed with charts illustrating the life-span of batteries and charging cycles, Eberhard answered a flurry of questions that all orbited around one premise: can the Tesla, for all its celebrity appeal and buzz, boost an industry that fascinates the next generation of electrical engineers? The race for a better battery goes on while entrepreneurs talk of creating readily available charging stations in both remote areas and in urban neighborhoods. These would be the places where drivers could plug in their cars for quick charges when away from home. 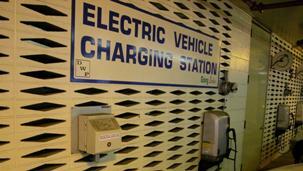 States along the west coast are considering creating an ‘electric corridor’ of charging stations along major highways. 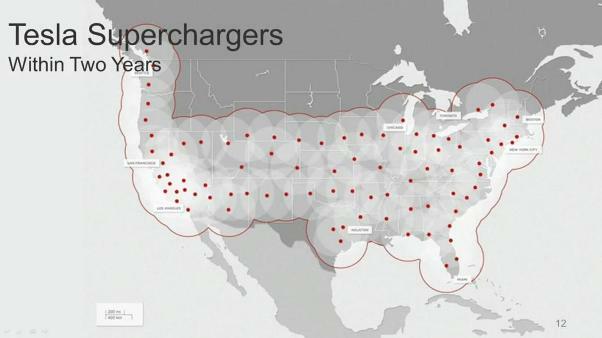 Tesla released plans, including a proposed location map. The map prepared by the company indicates Tesla has plans for at least four charging stations along I-80 in Nebraska. When I spoke with Eberhard after his speech he didn’t take issue with his former employer’s vision, but he argued the idea of replacing gas stations with plug-in locations is the wrong model. NPPD already has one electric car. 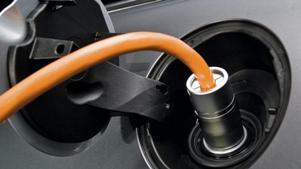 The district’s Chevy Volt is part of a nationwide federal government study of the vehicles capabilities and drawbacks. The Omaha Public Power District is also participating. Even with fewer than 100 electric vehicles registered in Nebraska, the two largest power providers in the state are supporting development of an electric car market. Dostel points out estimates of the cost of “fueling” an electric car on an equivalent basis would be about 75 cents a gallon. “When you think about electricity, which is our product here, as a transportation fuel, it has the potential to provide real value to our customers,” Dostel said. Even with enthusiastic support of the concept, NPPD is proceeding slowly on developing infrastructure related to electric vehicles. This fall a dozen Nebraska towns made a commitment to supply charging stations in anticipation of electric cars. While driving his Tesla, Don Cox mentioned he grew up in the Nebraska Sandhills and would love to see a practical electric pick up for sale but he suspects it would be difficult to get ranchers in his home town to even try an electric pickup truck right now. He said it’s not the engineering as much as the uncertainty. “You never had an electric to try out. You’ve never gone up over the hills in an electric pick up,” Cox said. He compares the science and the market for electric vehicles with the development of the cell phone industry. That was also an advancement that started in urban areas and was slow to arrive in rural America. The idea of cell phones had plenty of doubters; the equipment was expensive and few cell phone towers made service unreliable. Improved research combined with larger sales made the devices cheap, reliable and a part of everyday life. Even in rural Nebraska. I don’t think Eberhard has it figured out correctly. We don’t need 500 mile range, we need enough range to let us drive far enough that stopping doesn’t seem like an imposition. I’d guess that to be about 200 miles. If you could drive a solid three hours, stop for a 20 minute recharge, and then drive another three hours I think that would be fine with most people. Especially when it would cost so little per mile to drive compared to $4/gallon gasoline. Most of us don’t drive far all that often. Even folks in the country. A round trip for me is 120 miles and I live fairly remotely. A 200 mile range and a place to charge along the way would take me to the ‘big city’, which I consider an all day drive. 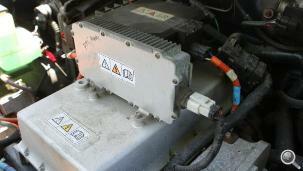 Smaller battery packs (200 vs. 500 miles) means a lighter weight car so more miles per kWh. And it means a lower purchase price. If you seldom drive over 200 miles it makes little sense to purchase and haul around and extra 300 miles of range. Just stop, grab a bite to eat, stretch your legs, check your email while you charge up your batteries.